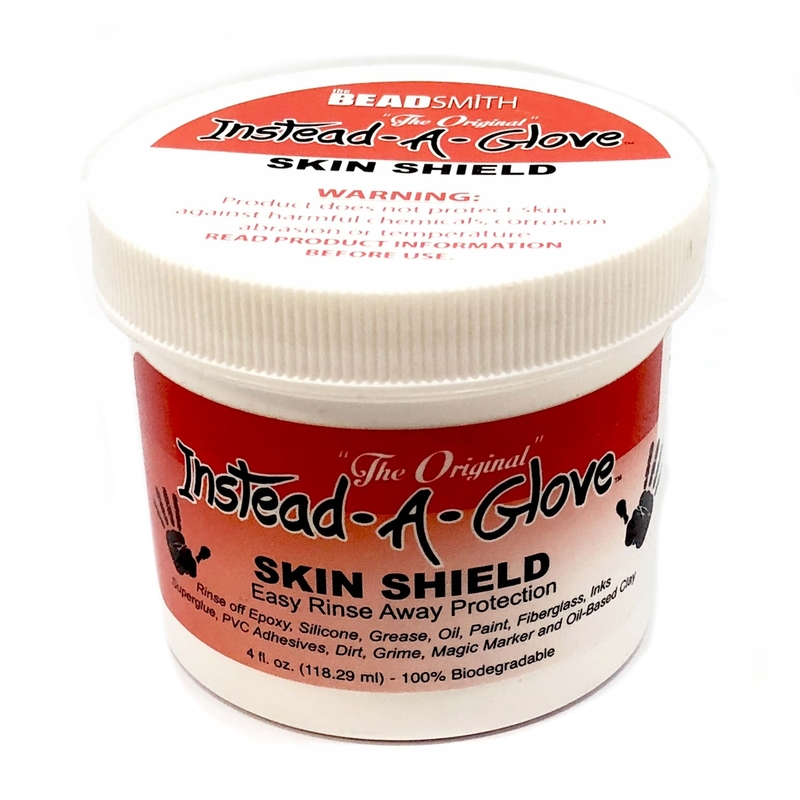 Instead-A-Glove Skin Shield, Easy Rinse Away Protection. Apply a small amount to hands before working and when you are done you can easily rinse away epoxy, silicone, grease, oil, paint, inks, superglue, magic marker and more!! Makes everyday clean up so easy!! This is NOT a protection against harmful corrosive chemicals.